Looking for a Knee Doctor in Omaha? Dr. Darren Keiser is the best Omaha Knee Doctor. Dr. Keiser has been in practice at the Methodist Physicians Clinic Orthopedic and Sports Medicine Center since 2003. He is Board-Certified in orthopedic surgery and specializes in the knee and shoulder. 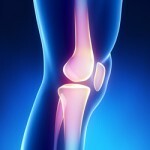 The knee is the largest joint in the body, and one of the most easily injured. It is made up of the lower end of the thighbone (femur), which rotates on the upper end of the shinbone (tibia), and the knee cap (patella), which slides in a groove on the end of the femur. The knee also contains large ligaments, which help control motion by connecting bones and by bracing the joint against abnormal types of motion. Another important structure, the meniscus, is a wedge of soft cartilage between the femur and tibia that serves to cushion the knee and helps it absorb shock during motion. Who Needs an Omaha Knee Doctor? Many athletes experience injuries to their knee ligaments. Of the four major ligaments found in the knee, the anterior cruciate ligament (ACL) and the medial collateral ligament (MCL) are often injured in sports. The posterior cruciate ligament (PCL) may also be injured. Learn more about knee injury below. When people talk about torn knee cartilage, they are usually referring to a torn meniscus. The mensicus is a tough, rubbery cartilage that is attached to the knee’s ligaments. The meniscus acts like a shock absorber. In athletic activities, tears in the meniscus can occur when twisting, cutting, pivoting, decelerating, or being tackled. Direct contact is often involved. 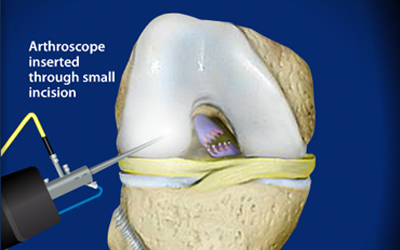 What Does an Omaha Knee Doctor Treat? Rest the knee by staying off it or walking only with crutches. Apply ice to control swelling. Use a compressive elastic bandage applied snugly, but loosely enough so that it does not cause pain. Finally, keep the knee elevated. 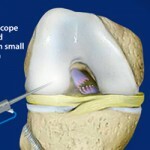 Please browse the rest of omahaknee.com and learn about other knee topics. Here are some of the terms that are related to Dr. Keiser; knee replacement doctor, knee pain doctor, knee hurts, best knee replacement doctors, knee cap replacement, knee surgery recovery time, top rated knee doctor in omaha, knee joint replacement surgery, knee injuries, knee specialist, knee strengthening exercises, total shoulder replacement and more.